Over 60 Fortune 500 companies have their Canadian or global headquarters in Mississauga, so if you’ve got a business in the area, you’re competing with the big boys and need to make sure you’re putting your best foot forward. Part of doing that is having an office space that looks good to clients and feels good to the people working there. When customers are impressed by the surroundings, they’re more likely to trust you and want to work with you. When employees are happy with the office, their productivity will increase and often they’ll even be healthier. Who knew that getting good chairs and having a good layout could make such a big difference? And that’s just the beginning! You can attract top talent. Besides convincing new clients to choose you, a chic, professional design can also make a big difference when you’re trying to convince a hotshot employee to come to your company. Money and benefits are nice, but sometimes having comfortable-looking chairs and an attractive environment are just as good – if not better. You’ll be more nimble. One of the biggest things that causes productivity issues – especially in larger companies – is poor communication. This is a problem that’s only exacerbated if it’s difficult for employees to see or walk to each other, but many businesses don’t even realize that it’s happening. Optimize and streamline your layout and you might be surprised by how much faster some jobs get done, and how quickly the number of errors drops. You can reduce absenteeism and healthcare costs. Office spaces where employees are practically on top of each other in cramped quarters tend to have higher numbers of people calling in sick and needing medical care due to an illness. That’s a double whammy for businesses because you’re losing production while spending money to heal your workforce. These kinds of problems tend to be reduced in offices designed with employee comfort and health in mind. Alliance Interiors knows the importance of practical and professional office design and has made it the basis of our business. We’ve also tried to make the process easy for businesses by offering a full slate of services. Unlike other interior design firms or furniture procurement agencies that may only work with you for a single step of the process, our goal is to be with you from the initial conception of your new office design to the finished product. When you contact us, you never have to worry about working with another company. Office interior design. We focus on ‘business environments that make sense’, meaning we’ll help you remodel your office to meet your business goals AND to have a great professional appearance. Corporate moving. Maybe your small, home-based business has finally grown so large that you need a bigger space? Or you’ve discovered a more affordable building across town that better fits your needs? Transferring an entire office can be a daunting prospect, but with Alliance Interiors it doesn’t have to be. Our experienced professional moving team will make sure that your transition is as seamless as it can be, with as little downtime as possible. Layout planning. Do new employees not only have trouble finding other departments, but even getting back to their own desks? Are teams that need to regularly communicate awkwardly placed on opposite ends of the building? Alliance Interiors has worked with lots of businesses just like yours to create an optimized floor plan that will streamline processes and increase productivity. Redesigning your office. Is your current office tiny and cramped? Full of odd angles and useless space? Moving may seem like the only answer, but don’t be so hasty. At Alliance Interiors, we’re experts at examining an existing office and remodeling it to increase the amount of usable space while maintaining health and safety standards. Remodeling project management. If you haven’t handled a corporate remodeling project before, you probably don’t fully understand everything that goes into it. Someone needs to be in charge of budgeting, planning, design notes, and even construction drawings. Few companies have the resources to dedicate someone to what’s essentially a full-time job, but Alliance Interiors always works with clients to help streamline this process and make sure that you don’t miss any important steps along the way. 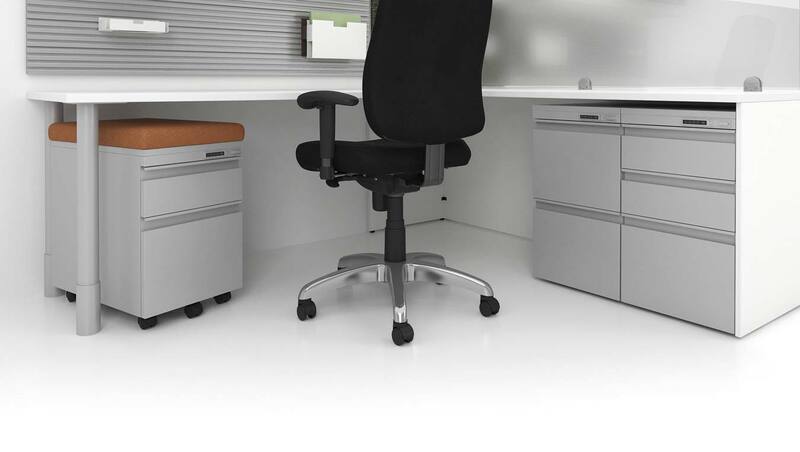 All of these brands offer office furniture that is comfortable, visually appealing, environmentally-friendly, and globally sustainable, and we’ll work hard to find you something that not only meets your needs, but also your budget. Setting up or remodeling a home office. Just because you don’t work out of a “real” office building doesn’t mean you shouldn’t have a professional-looking space that helps you to work better. Home offices can be especially tricky because they come in so many shapes and sizes, but we know how to implement the perfect design solutions for your space so that you can spend time growing your business – not thinking about the office. Lots of companies hold off on office changes because they worry about cost or how the disruption will impact their business, but the longer you wait, the more out-of-date your company can become – and the more business you might lose out on. If you want to get the most out of your office space in , we hope that you’ll contact us as soon as possible. Reach out to us now and find out what we can do for your workspace.